Join us for an evening run, jog or walk through our beautiful vineyard race venues. Whether you are a wine lover, avid runner or just plain love a good night out, this is the race for you. Start your race like any other, but that's where the ordinary stops. 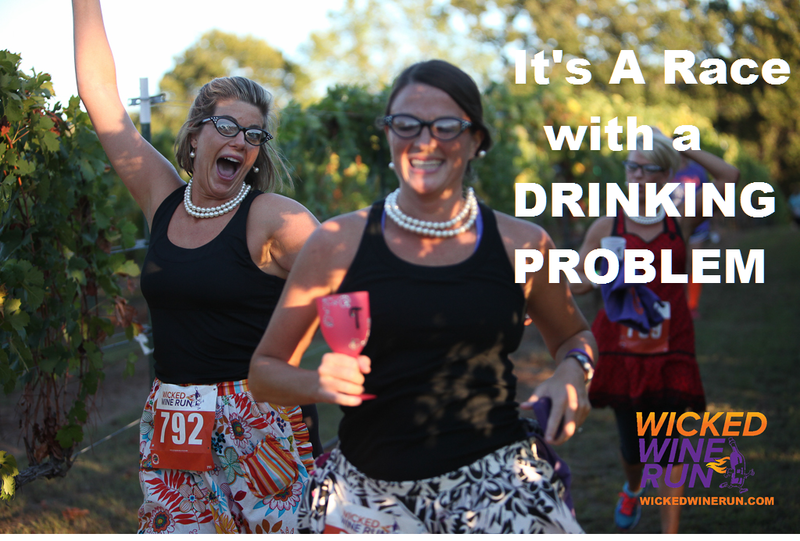 You'll celebrate your run unlike any event you've run before – WINE after your race or during! Stay, play and rock out with a live band, Great Food and MORE WINE from these award winning vineyards and wineries. 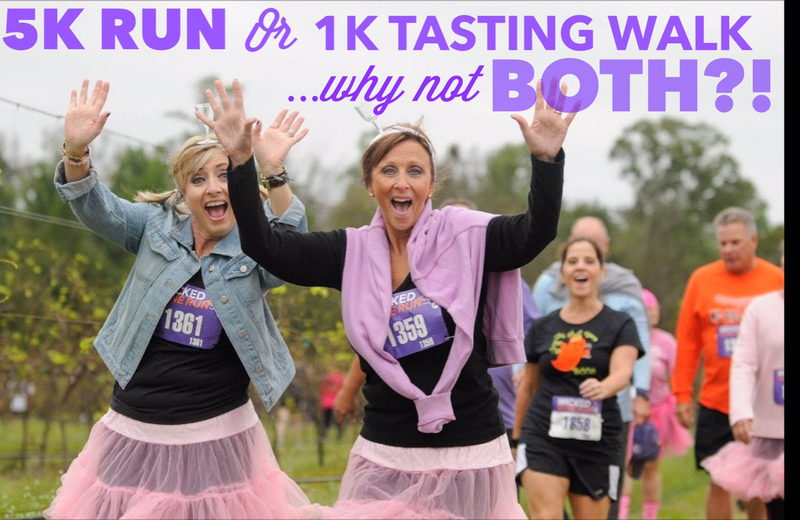 CHOOSE YOUR RACE: 5K Wine Run with celebratory wine at the finish or 1K Tasting Walk with 4 wine tasting stops along the route...or BOTH! 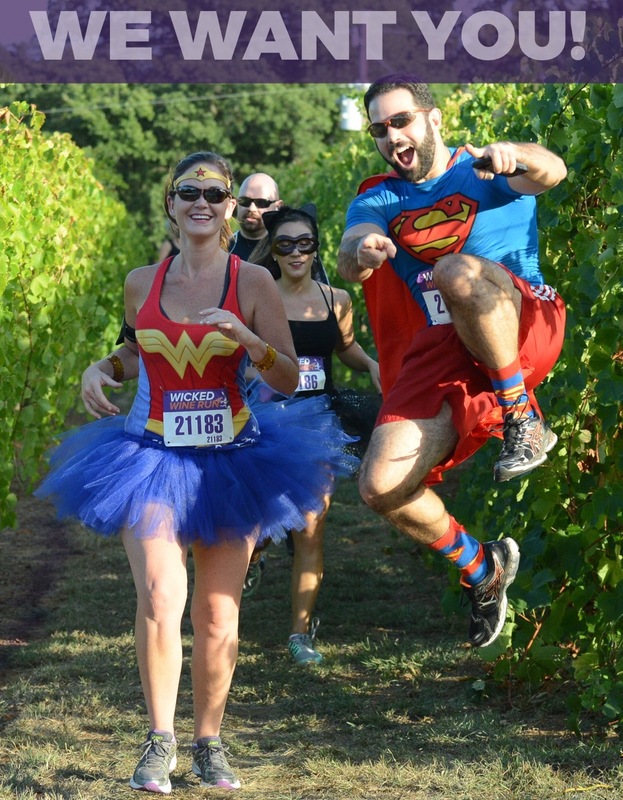 Race through the trails of the beautiful Defiance Ridge Vineyard, Defiance, MO . The designed trials are through fields and woodland trails. 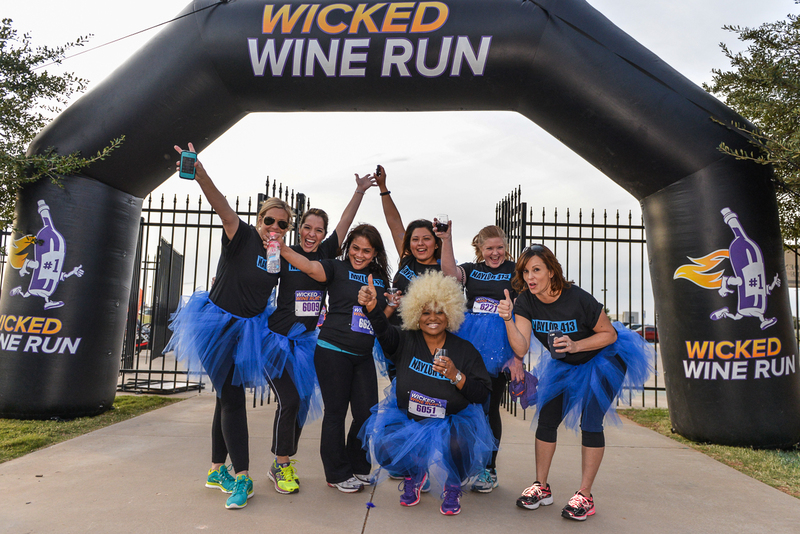 The start time for the 5K Wicked Run begins at 5:00 pm and the 1K Wicked Tasting Walk begins at 6:30pm. 5K runners must complete the course in 1 hour. Runners who participate in BOTH the 5K Fun Run and the 1K Walk must make the start time of the 1K. NO EXCEPTIONS. Waves of runners will be released on the course with 5 minute intervals in between waves. 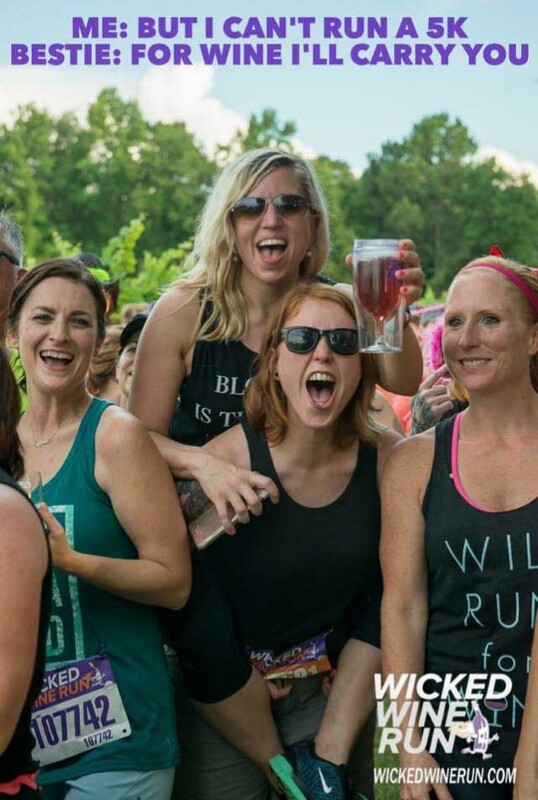 Race through the trails of the beautiful Defiance Ridge Vineyard . The designed trials are through fields and woodland trails. 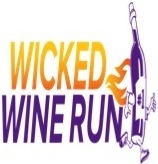 The start time for the 5K Wicked Run begins at 5:00 pm and the 1K Wicked Tasting Walk begins at 6:30pm. 5K runners must complete the course in 1 hour. Runners who participate in BOTH the 5K Fun Run and the 1K Walk must make the start time of the 1K. NO EXCEPTIONS. Waves of runners will be released on the course with 5 minute intervals in between waves. Runners and ALL attendees must be 21 or older to participate. Parking is $10 per car!